Durban – A superb spell of bowling from Prenelan Subrayen and a measured 44 not out from Marques Ackerman helped the Hollywoodbets Dolphins win their opening CSA T20 Challenge fixture against the VKB Knights by four wickets at Kingsmead on Saturday. Debutant Ackerman was the rock of the innings as he struck five fours and a six on the way to match-winning innings. The Knights got off to a rollicking start with the bat as openers Aubrey Swanepoel and Patrick Kruger scored at a fair clip. Kruger was the first wicket to fall with the score on 46 in the fifth over of the innings. He was clean bowled by the impressive Daryn Dupavillon for 13. Swanepoel took a liking to debutant Lwandiswa Zuma and the seamer’s first over went for 25 but the youngster came back to claim the wicket of Swanepoel in his second over for 31 off 19 deliveries. The Knights lost wickets fairly regularly from there with 10 run intervals becoming the norm with Andries Gouse falling with the total on 65, stumped off the bowling of Prenelan Subrayen. 11 runs later it was Rudi Second who fell, he was caught by the captain Khaya Zondo for 17 and the Knights were 76 for four. Subrayen picked up his third when he bowled Ryan McLaren for a single. Subrayen went on to register figures of three for 15 in his four overs. The Knights captain Pite van Biljoen was well run out by Subrayen for 12 when he was threatening to push the visitors to a more than competitive total. Grant Mokoena and Shadley van Schalkwyk combined to add 45 runs for the seventh wicket which got the Knights back into the contest. Mokoena became Dupavillon’s second victim, caught for 25 and then five runs later Van Schalkwyk fell to Eathan Bosch for 21. 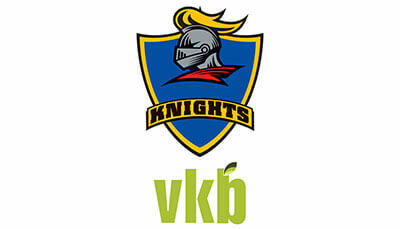 The Knights would eventually end their innings on 133 for eight in their 20 overs. In reply the Dolphins openers Sarel Erwee and Morné van Wyk put together 39 before Erwee was caught behind for 28. The classy left-hander looked in great form before he chipped one in the air for the keeper to catch. Van Wyk was dismissed for 17 and unfortunately for the Dolphins Khaya Zondo followed a run later, caught behind for a single. The Dolphins were 50 for three in the eleventh over of their chase. Marrques Ackerman was then thrust into the role of guiding the side home. In the process he lost Cody Chetty for eight and Sibz Makhanya for 17 and the game was getting close with the Dolphins still needing just over a run a ball. Ackerman and Makhanya put on a partnership of 43 which was crucial in the context of the run chase. Keshav Maharaj was bowled for three and Bosch came to the crease and hit a four and a six in consecutive deliveries to guide his side home to a four wicket win. Ackerman ended up on 44 not out off 34 balls and the 23 year old never felt like the rate ever got too far ahead of them. “I always knew that we were one boundary away from the rate so there was no reason to panic,” the youngster on T20 debut for the Dolphins said. “The wicket was a bit two paced which made scoring a little difficult. We knew that we had to just keep in touch with the rate and then wait for our chance to win the match. The Hollywoodbets Dolphins face the bizhub Highveld Lions in their second CSA T20 Challenge match of the campaign at Kingsmead Cricket Stadium on Wednesday, 10 April.